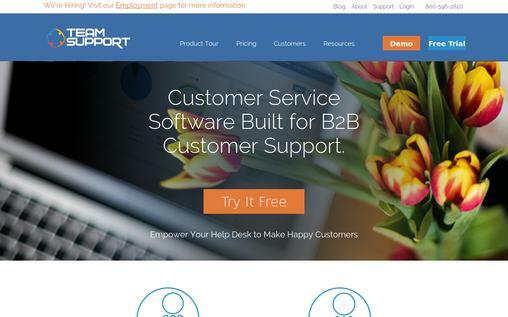 Are you looking for some of the best help desk software ? Having a good help desk in your company can be of great help. It eases out the entire process of providing effective customer support and guidance to users. Customers can easily reach out to the company help desk for the addressal of their problems and grievances. The help desk software which are available today simplifies this process even further by automating it. Hence, possessing a good help desk software has become a pre-requisite for most companies who wish to provide quality help desk services to customers. There are a number of help desk software available today and choosing the right one for your company can get tricky. Don’t worry! We have for you here a comprehensive guide to help you find the best one. This will surely enable you to make the right choice. Desk is one of the best help desk software available today. With this software, you are sure to provide efficient and quality services to your customers. The software has a set of excellent features which are easy to use. The software starts quickly and enables you to provide quick and helpful service to customers. The software provides multi-channel and mobile support. With the effective case management tools the inquires can be directed to the respective agents. The top quality productivity tools make work faster and efficient. Reply to all customers inquires through one universal inbox. Respond to all social media messages of customers from within the software. All emails are converted to cases and given priority and status. Easily keep a track on all inquires made through phone calls. Communicate with your customers through chat. Discussion boards can be easily added to the website. The software offers mobile support. Effective case management allows you to collect, organize, arrange cases and prioritize them. Use great productivity tools like labels, macros, case filters and bulk updating to provide quick and efficient service to customers. Create a top quality self-service support for customers. Customize a support center for your website using designed templates. 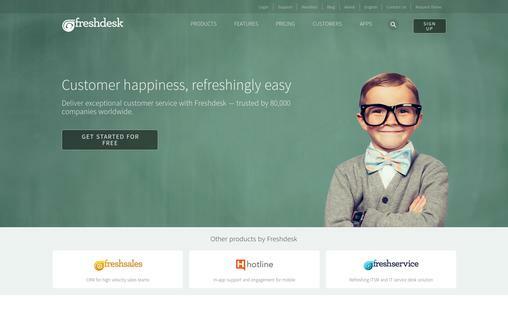 Freshdesk is one of the most trusted helpdesk software brands in the market today. With this helpdesk software in place, you are sure to provide utmost satisfaction to your customers. The software can be set up very simply and is very easy t use as well. The software provides multichannel support and you are sure to provide quality services to all your customers with it. Provide efficient service and address all issues with the help of the software’s advanced ticketing service. All conversations can be handled in one place with multichannel support features. The software integrates game mechanics to maintain a competitive spirit and enhance the productivity of agents. All frequently repetitive tasks can be automated. Establish a self-service support for your customers by creating a knowledge base and community forums. Provide global and multi-product support using this software. The software provides utmost security with SSL certificates, a trusted IP and single sign on. The software features integration with a number of business applications. 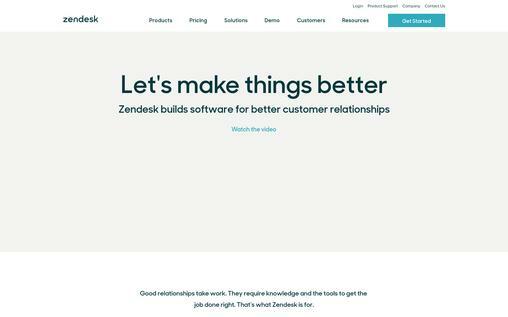 Zendesk is a quality helpdesk software with the use of which you will most certainly be able to establish long-lasting relationships with your customers by providing them good service. You can handle customer requests from all channels, create great self-service support and provide fast and efficient service using this great software. Manage all conversations through one inbox. Use great features like triggers, automation and ticket views to organize your work and provide better service. Create a great self service support for customers. Use excellent tools to customize your website. Use Zendesk Benchmark to measure the satisfaction of customers and team performance. The software integrates more than 350 apps. Use live chat to communicate with customers. The software provides phone support by integrating Zendesk Voice. 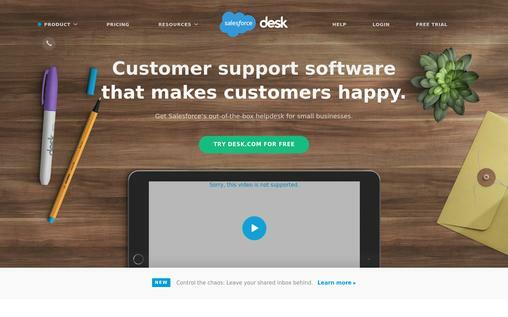 Use the messaging software Zendesk message to communicate better with customers. Use BIME to analyze all customer data. 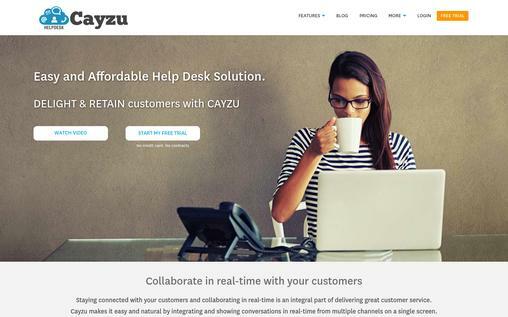 Cayzu is an excellent and easy to use helpdesk software. Your customers will surely be very satisfied with the services which you provide them using this software. You can communicate with your customers from multiple channels and that too in real time. The software has a host of great features which will surely give your company’s helpdesk services an edge above the others. The software has an excellent and easy to use the ticketing system. It is well integrated with MS Outlook and other email inboxes. Use the global search option to hasten up your searching process. The software allows you to communicate privately with your team. Use the timer to keep a track on the time spent on different customer requests. Make use of the REST-based API to integrate the software with your own apps. The centralized help desk portal provides support for multiple brands and products. Use the HTML editor to customize email signatures. The software integrates with the most popularly used apps like Skype and Live Chat. Support requests are assigned automatically using the excellent automation tools of the software. Ticket submission is made easier with the form widgets. 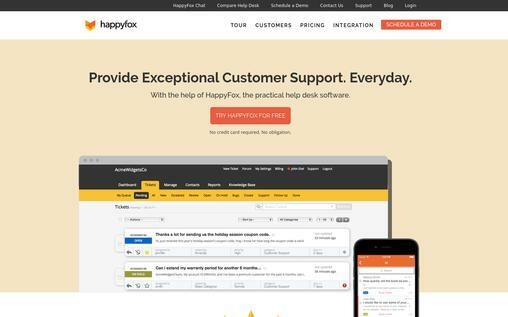 Happyfox is an excellent helpdesk software which is tailor-made to suit all practical support purposes of companies. This easy to use software helps you organize and systematize all your support services. This software boasts of a powerful ticketing system, self-service support and community forums. You can easily integrate emails, chat and phone requests easily using this great software. The software boasts of a quick response time of two hours. You can easily customize the software. The software integrates a number of applications. It is multilingual and supports 35 languages. The use of this software guarantees complete security. Responses to commonly asked questions can be set in advance to provide quick service. Use the software to automatically assign the appropriate task to the right staff. Tickets can be escalated by writing down rules. 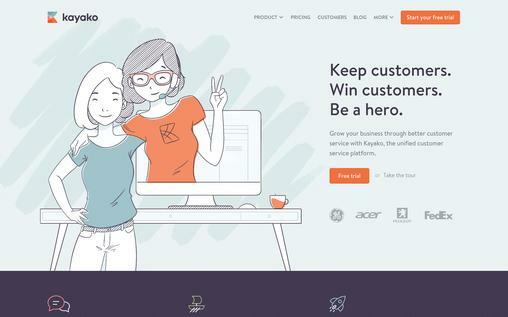 Kayako is an extremely user-friendly helpdesk software using which you are sure to win your customer’s hearts by providing them excellent service. Using this great platform you can build a lasting relationship with your customers and provide them just the right support. Provide personalized service to all your customers everywhere using this excellent software. Seamlessly carry on conversations with customers from multiple channels. Respond to customer requests through social media platforms like Facebook and Twitter. Create individual profiles for customers and keep a record of all their conversations. The software provides a great 24/7 self-service support for customers. All the repetitive tasks are automated which in turn improves the efficiency of your team. Work across all the teams of your company and provide better service to customers. The software well integrates with all the apps which you are using. Use Kayako messenger to engage in a live chat with your customers. Salesforce Service Cloud is a top quality customer service software using which you can provide efficient service to your customers round the clock. Using the great features of this software you can provide personalized service to all your customers. Provide multi-channel and quick service using this great software. The software has in-built artificial intelligence (AI) which quickly understands problems, provides solutions and also predicts how much time will be required to solve issues. Both you and your customers can use the knowledge base to search for relevant answers. Communicate with your customers through social media platforms. Use Live Agent to engage in a live chat with your customers. 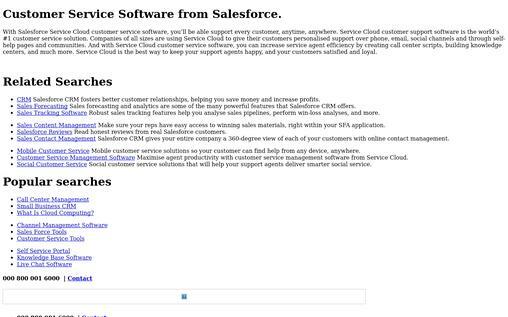 The Saleforce 1 platform enables you to handle customer requests from any place. Customers can use Service Cloud communities to communicate amongst themselves and help each other. The software integrates well with your desktop and mobile devices. 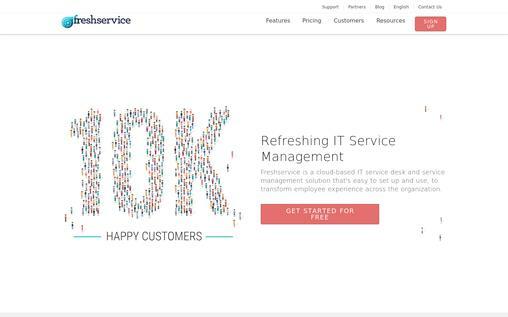 An excellent cloud-based help desk software is what Freshservice brings for you. Freshservice is becoming increasingly popular amongst companies for the fast and effective service it offers. The software is extremely easy to use. It requires no installation and its use can be begun immediately. The software offers multi-channel support. All requests through email, phone or other platforms can be handled in one place. Make use of the excellent problem management offered by the software. Keep track of all the changes at the initial stages and analyze them. Freshservice also offers efficient release management. The powerful ticketing system helps you resolve issues in minutes. Create a knowledge base for effectively resolving issues and improving the satisfaction of customers. All repetitive tasks are effectively automated. The integrated asset discovery can be run at regular intervals. Maintain a record of all the assets with their details using the product catalog service. Self-service support is also provided through the service catalog software. 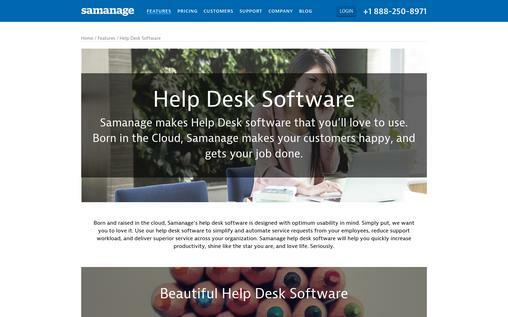 Samanage is one of the best help desk software available today. It offers exceptional services to customers. With a host of great features, this software effectively automates all service requests and provides optimal services to customers. Using this software, you can also enhance the productivity of your team using this great software. Manage all your tickets efficiently and from one place using the powerful ticket management system. View all your important service data within the tickets using the asset management software and resolve issues quickly. Reports and filters can be effectively analyzed and relevant changes can be made. All services having similar solutions can be displayed using the service catalog. The self-service portal allows users to resolve their issues. Handle all issues from a single inbox using the effective email integration. Create an effective knowledge base for already resolved incidents to save time working on repetitive issues. The software is well integrated with a number of apps. It works well on most of the smartphones and tablets without you having to install any app. All pending requests can be viewed using the smart list view. Team Support is a good quality help desk software which focuses on providing utmost satisfaction to customers. With advanced ticket and customer management this excellent help desk software is tailor made for B2B. This software also offers effective solutions for small businesses. Keep a record of all your customer data and view details with just a click. The software also offers powerful ticket management which is easy to use as well. The product database enables you to view all products which your customers have and keep track of the issues. The software features integrations with popular business systems. Customers are offered a great 24/7 self-service support. The software has a top quality in built reporting system. The use of help desk software is becoming increasingly popular in all companies today. These software enable companies to provide efficient, fast and effective service to customers. This guide to the best help desk software will surely prove helpful while you choose the right one for your company. All these software function well and have a host of great features which will surely prove beneficial for your company.